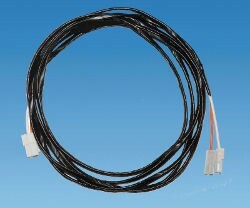 2 Core twin flat black cable with 1.0m2 conductor and black and red core. 2 Core twin flat black cable with 2.5m2 conductor and black and red core. 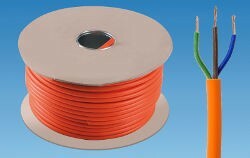 3 Core round flex mains cable with orange sheath and 3183Y core colours and 2.5mm2 stranded conductor. 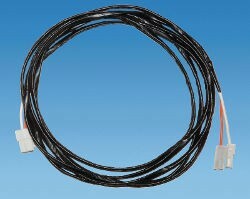 3 Core round flex mains cable with White sheath and 3183Y core colours and 2.5mm2 stranded conductor. 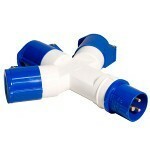 Holds 35m of mains extension lead. 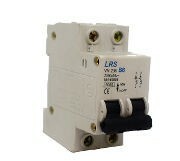 Auxiliary Extension loom to connect the auxiliary appliances to the Relay Housing on the BCA Electrical converters wiring harness system. Awning Light Extension loom to connect the awning light to the Switch Control Panel on the BCA Electrical converters wiring harness system. 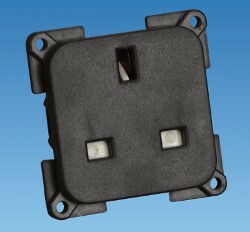 2 way angled socket housing for C-Line modular socket system. 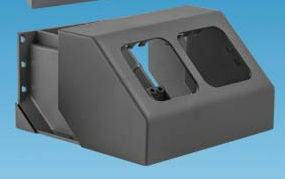 Includes socket housing and cover. 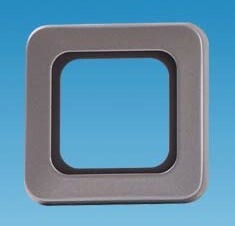 Deeper 1 way faceplate with rounded edges for C-Line modular socket system. 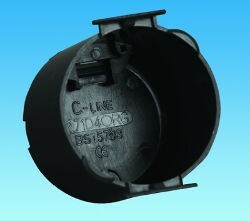 Can ONLY be used with recessed installation with C-Line Circular Back Box. 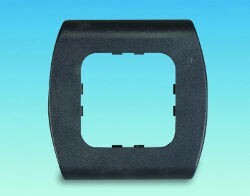 Spacer / adapter for C-Line 1 Way Face Plate - Round Edge on C-Line modular socket system. 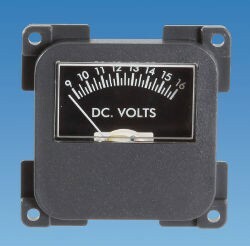 12 Volt Meter for C-Line modular socket system. 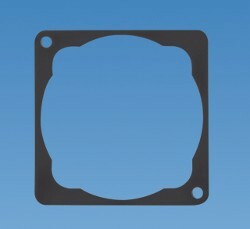 Predominantly used as battery status indicator for your leisure battery. 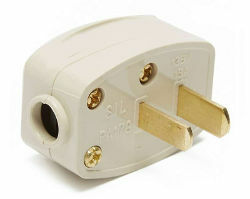 13 Amp domestic style socket for C-line modular socket system.